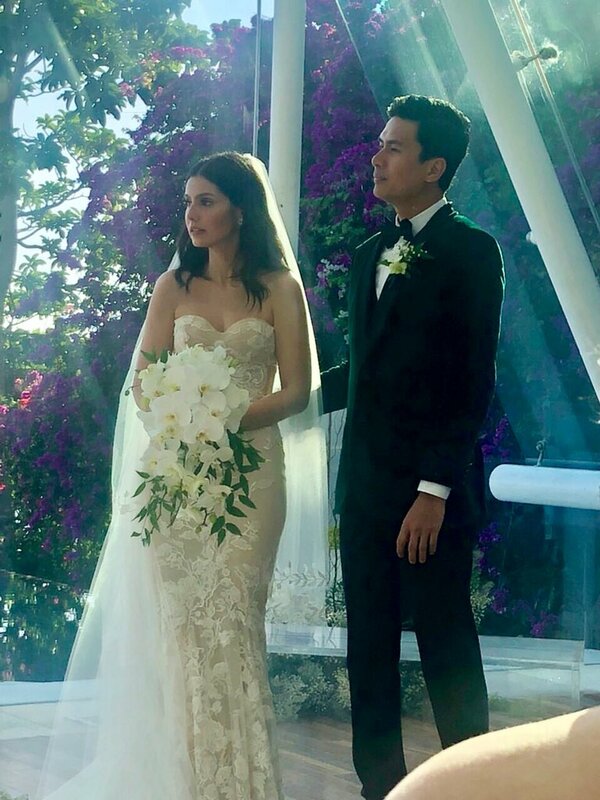 Christian Bautista and Kat Ramnani married on Saturday in a small, intimate ceremony attended by their closest family and friends held in Bali, Indonesia -- the first of their two planned weddings. In a chapel set on the southern clifftop of the picturesque island, the couple exchanged vows watched up close by their parents and some celebrities like Erik Santos and Sam Concepcion. Wearing a veil and an embossed dress, Ramnani was seen in tears after walking down the aisle to meet the singer at the altar. The couple kissed with the Indian Ocean serving as their backdrop. This is the first of their two planned weddings, with Bautista and Ramnani looking to hold another ceremony in the Philippines.